The volume of purchases of large commercial property in Lithuania over the first half 2018 was rather impressive. According to Ober-Haus data, in the first half of 2018, eight investment transactions totaling EUR 246 million were concluded in purchases of modern commercial property (offices, retail, warehousing and industrial buildings and premises with an estimated value of at least EUR 1.5 million). In comparison with the record year 2017, when annual purchases of modern commercial property in Lithuania accounted for EUR 312 million, the half-year results of this year are really impressive. ”It is hard to estimate annual results due to the small-scale of the Lithuanian investment market and inconstancy of investment transactions because just a few large-scale deals could have a huge impact on half yearly or annual results. However, taking into consideration investment transactions that were concluded at the beginning of the second half of 2018 and planned transactions it is obvious that the total amount spent on purchases of such property in 2018 will definitely exceed the amounts spent in 2015 and 2016 (EUR 272 million and EUR 260 million respectively). Also, there is a high chance that a new record high in investment transactions will be registered this yeare,’ Raimondas Reginis, Ober-Haus Research Manager for the Baltics, said. The purchase of Ozas shopping centre was a deciding factor in the results of H1 2018. NEPI Rockcastle, the commercial property investor and developer, acquired the holding company of Ozas shopping centre. The reported aggregate purchase price of the shopping centre was EUR 124.6 million. By purchasing Ozas shopping centre, NEPI Rockcastle, one of the largest investors in higher-class retail property in Central and Eastern Europe, guaranteed themselves a slightly higher than 7% annual yield (excluding potential income from premises in this shopping centre that have not yet been leased). Based on property value, the second largest transaction was the acquisition of four Verslo Trikampis office buildings. LIM Verslo Trikampio Fondas, a property management company owned by the fund management company, Lewben Investment Management, bought the four office buildings from MG Valda. The acquisition price was not disclosed, but it is publicly known that at the beginning of the year the value of the assets managed by the newly established fund made over EUR 60 million. This closed-type property fund already has both private persons and legal entities as investors. The third largest transaction was concluded in the middle of this year, when investment company Westerwijk Properties purchased the BIG shopping centre in Klaipėda for almost EUR 25 million. This shopping centre was part of a large commercial property portfolio that was purchased by the international investment company, Partners Group, in 2015. Acquisition of Ozas shopping centre was also a deciding factor in the distribution of investments by property sectors over H1 2018. According to Ober-Haus, from the total amount of EUR 246 million of investments made in Lithuania, as much as 65% was in the retail sector. Over this period the share of investments made in office space was 29% and the remaining 6% was on warehousing and industrial premises. Despite investors still showing considerable interest in commercial property in Lithuania, investors have been much more reserved lately. Recent more conservative bank financing policies, anticipated end of the era of record low interest rates and slowing growth potential of real estate market, forces some potential investors to rethink their investment strategies (expectations). 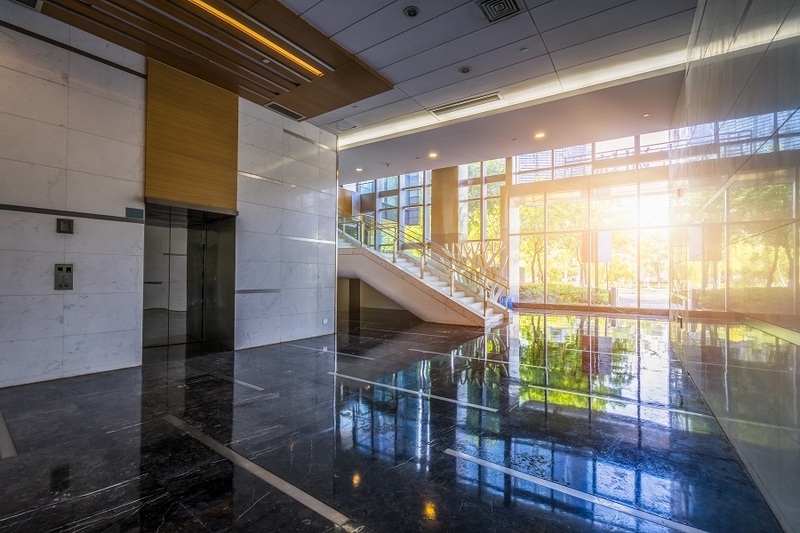 It appears, based on this year’s completed investment transactions and ongoing negotiations, that commercial property yields in general are not declining any further (which was the trend in the past 8 years). This is particularly obvious when looking at the lower-class or older buildings and premises segment. ‘Potential investors are being particularly cautious when assessing the prospects of a specific object – current tenant base, future potential income from lease, additional investments in the building or premises, etc. – and add this to yield indicators offered by sellers,’ Mr Reginis said. Large investors continue to prioritize higher-class commercial property with a strong tenant base not only in the capital city but also outside it. These buyers are still accept a lower yield. While higher-risk property does not get as much attention in the market. According to Ober-Haus data, in 2018, country-wide investment yield indicators for modern commercial property remained essentially unchanged and in the middle of the year, depending on the region, amounted to 5.75%–8.0% for offices and shopping centres and about 7.5%–8.5% in modern warehouse buildings. Among larger investments, top-class business centres in Vilnius and the most popular and larger shopping centres in the larger Lithuanian cities continue to receive attention. For example, the growth in value of top-class offices in the capital city over H1 2018 was determined only by slight increase of rents. The record low vacancy rate in A class business centres in Vilnius (1.6% in Q1 2018 and 0.9% in Q2 2018) also contributed to a slight increase in their rents. Since investment yield indicators were stable, it was only the change in rents that contributed to further growth of the capital value index, which increased by almost 2% for A class offices in Vilnius over H1 2018. According to Ober-Haus data, the value of such property has already grown from the lowest point (recorded in the middle of 2010) by almost 90% but is still 12% short of the highest level recorded at the beginning of 2008.